Cotton yarns often are associated with two types of knitting: Baby items, and dishcloths. For summer, anyway, these are two great genres to explore, because both projects are small and very portable. Rowan Handknit Cotton was instantly added to my arsenal of favourite summer-project yarns, right from the cast-on. For the review, I used one ball of Rowan Handknit Cotton in colour Bleached (263), and a pair of bamboo size 4.5mm/US 7 straight knitting needles. Rowan Handknit Cotton is a DK-weight, 100% cotton yarn without the tencel-shine of its pima cotton counterpart. Handknit Cotton has the soft brushed feel that cottons done right tend to have, and yet it defines each stitch as if it is its own identity. I decided to make a baby item for the review, since there is no worse critic out there when it comes to how something feels on the skin. The yarn comes in over two dozen colours through LoveKnitting, and while the shade I chose is a stark white, the colours are muted jewels and dark pastels with a few brights thrown in to balance out the palette. While the yarn itself offers a slight, cottony halo, it adds to the softness of the knitted item similar to the downy fur on the underbelly of a kitten. The brushed feel of the yarn is a delight to slide between the fingers and needles. One caveat: I am a pull-from-the-centre knitter, and I pulled half the guts of the ball out looking for the end of the yarn. This is not necessarily a reflection of Rowan or its product, but it should be noted that the yarn has a fair amount of grip for cotton. The stitches slid relatively easily from needle to needle on bamboo, meaning that metal would also be a solid needle choice as well; Rowan Handknit Cotton is not only soft to the touch, but it is a supple strand with a twist that does not invite splitting. While the very end of the yarn was frayed by about an inch from pulling the piece in and out of my bag, the yarn had incredible stability and would hold up against more rigorous than average wear and tear. After making the first bootie, I asked the woman in front of me at Starbucks if I could try it on her toddler. While she would not allow me to take photos of her child, the little girl was pleasant enough to wiggle her toes inside the little sock, and the mother was quite a good sport. I asked the mother for her opinion on the yarn, and she said, “Goodness, this feels nice! I crochet and this is what I call ‘cuddly.’ I would make a blanket out of this.” The woman would only allow me to identify her as Marie, but I wholeheartedly agree with her. As the yarn is 100% cotton, it is machine-washable with like colours, making it a great choice for any high-activity recipients such as children and babies. Because of its yarn weight, it would make excellent dishcloths, placemats and doilies, and decorative (non-felted) coasters for the living room. Especially pleasing is how breathable the yarn felt. While the piece is in garter stitch, I used the suggested needle size on the ball band (I hold my yarn with a death grip but usually work out to an average-tension knitter, compared to the ball bands of many yarn companies) and the piece was not stiff in any way. It also did not drape to the point of falling apart; each stitch held its own place, and there was still a slight bit of air between stitches. Yarns which are 100% cotton are traditionally excellent for blocking. This yarn is no exception; while my gauge swatch was not worth photographing, as I did not block the booties, my two inch by two inch gauge swatch did keep its shape, and while it lost a slight bit of definition when steamed, it was not enough to steer someone away from using the yarn by any means. The muted sheen of the yarn is perfect for items which do not need to be high-fashion runway items. This is a yarn that makes you feel warm and happy in the item made with it, but you still feel comfortable enough to drop a bite of pie on it by accident. A great summer cardigan, lacy scarf, or shawl to leave in your bag for when you get a chill in the theatre would all be excellent choices as projects for this yarn. At only 85m/92yds per ball, the yarn is not very ample per ball, but the price of a single ball makes Rowan Handknit Cotton an economical choice and one ball would be enough for a dishcloth or a pair of baby booties. 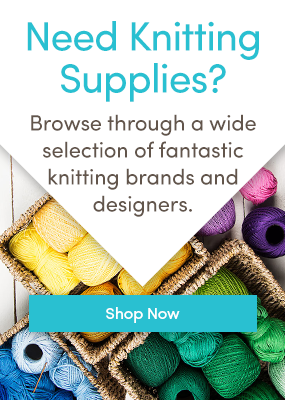 Buying ten balls and getting the ever-fantastic LoveKnitting discount would be enough yarn for a child’s cardigan or an adult summer tank or vest. I would like to thank Marie for letting me borrow her child for an on-the-street guinea pig on this yarn, and also echo her sentiment: This cuddly, soft, sturdy and stable yarn is a great summer yarn for small projects, and for lightweight larger projects during the summer months. Any yarn can make a dishcloth or baby item pretty, but Rowan Handknit Cotton will certainly make it prettier!